Even as politicians in Quebec and Ottawa maintain they're ready for any new influx in asylum seekers, immigration lawyers working on the front lines say they're already struggling to cope with a backlog of refugee claimants. 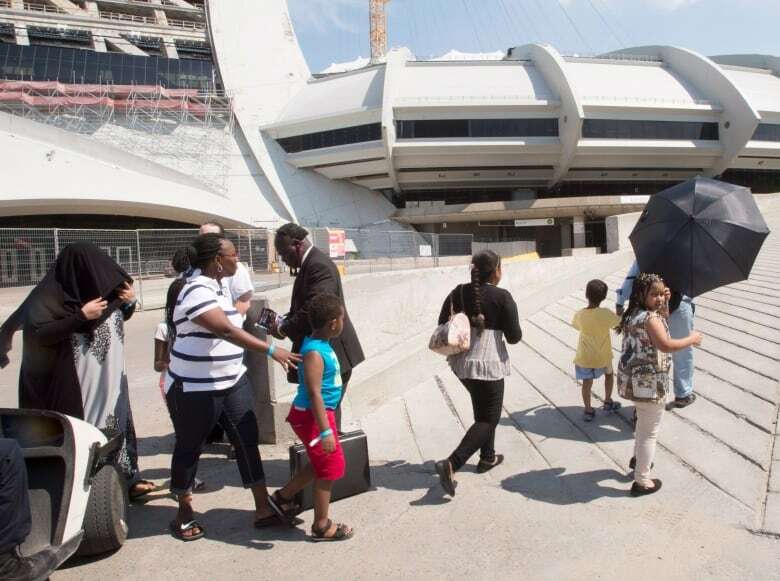 Even as politicians in Quebec and Ottawa maintain they are prepared for any influx in asylum seekers, immigration lawyers working on the front lines say they are already struggling to deal with a backlog of refugee claimants. The latest figures, released late Wednesday, suggest the delays are only getting longer as a result of last summer's surge of arrivals into Quebec from the U.S. Since last February, a total of 14,467 asylum seekers have made claims after crossing illegally into Canada, and 12,895 of those cases are still pending. "There's a major pressure, and it's not going away," said Jean-Sébastien Boudreault, president of the Quebec association of immigration lawyers. "The system is not going to get better, and we have to find a long-term solution. Right now, we're reacting to the situation, more than acting." These days, it's not uncommon for a hearing before the Immigration and Refugee Board (IRB) to be cancelled with only a few days' notice — often without being rescheduled, Boudreault said. The average length of time claimants wait to go in front of the IRB has grown to 16 months, but officials warned last month that wait time could get even longer. 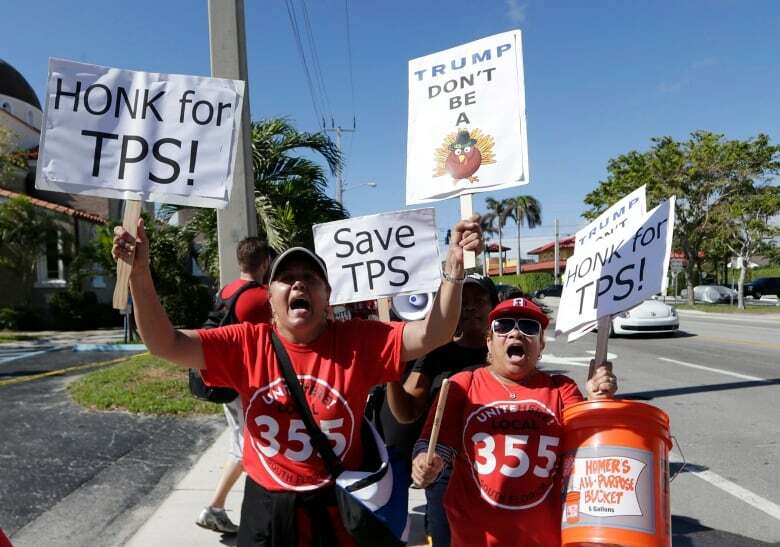 The U.S. government's decision to end the temporary protected status (TPS) program for Haitians by mid-2019 has renewed the concern of immigration lawyers north of the border about the system's capacity to deal with another influx of Haitians who can't or won't return to their native country. 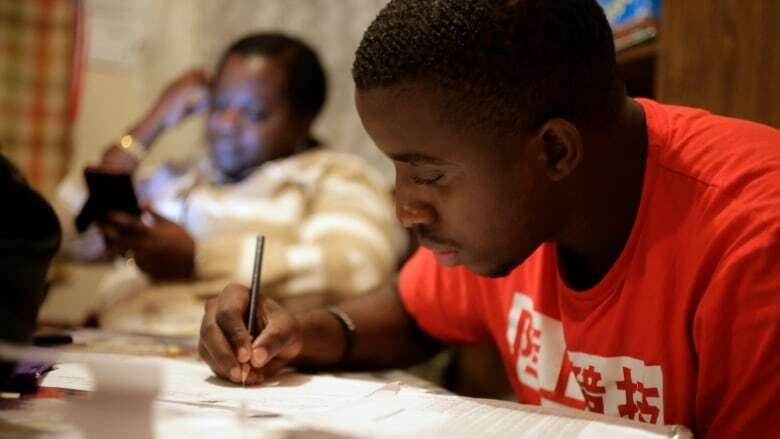 Haitians living in the U.S. under the TPS program, many of whom arrived in the wake of the 2010 earthquake, have 18 months to apply for American citizenship, or they could face deportation. The threat of the program's termination precipitated the waves of people who crossed illegally into Canada to claim asylum last summer, catching Canadian authorities off guard when the numbers of people grew to more than 200 a day. The federal government has launched a campaign to counter misinformation about Canada's immigration program that may have encouraged the jump in asylum seekers. Winterized trailers have been set up near the popular illegal crossing near Saint-Bernard-de-Lacolle, Que., and more staff have been added to help process people still entering the country there. The greater problem, however, could be simply getting through all the refugee claims. According to Boudreau, there are only 30 legal aid lawyers working full time on those claims. That could result in some asylum seekers going through the process without legal representation, said Éric Taillefer, another immigration lawyer. "We're going to have a lot of cases where the people are going to end up in a system that they don't understand, where they are a bit lost," he said. "I'm not sure that we're going to be able to represent everyone correctly, that everybody is going to have their chance." Renold Louis, a 37-year-old man originally from Haiti, is one of thousands who crossed into Canada last May. He has a work permit, an apartment and a job at a small manufacturing firm in Montreal. But he still hasn't had a hearing. "I don't know why they take so long, I don't know," he told CBC News, explaining that his file had to be transferred from Toronto to Montreal, where he's settled, for now. Like so many others, he's hopeful he will have a chance to stay — but the odds are stacked against him. Haitians accounted for 6,304 refugee claims heard by the IRB since February. A total of 298 have of those have been finalized, and only 29 accepted. The fact that the number of successful Haitian claims is "very low'' should serve as a cautionary tale for those still contemplating crossing into Canada illegally from the U.S. to seek asylum, said federal Immigration Minister Ahmed Hussen. "Coming to Canada first of all has to be done through regular channels, and secondly, the asylum system is only for people who are in genuine need of protection," Hussen said.